Nowadays, digital textile printing is the fastest growing segment in the textile industry. Why do increasingly more textile printers make the transition from conventional to digital printing? And what are the main investment reasons for digital textile printing? Instead of being driven by cost advantages, the main investment reasons can be find in indirect parameters underlining the advantages of digital textile printing. In this article, I discuss these important parameters and how they can benefit your company. In rotary screen printing, the printing process is slowed down by various processes. First of all, the printing design has to be adjusted with special separation software so it only consists of 6 or 8 colors (color separations). After that is done, for each color used in the design a special screen has to engraved. The engraving process means extra costs and takes time. When the screens are finished, they have to be installed in the printing machine and registered so all colors match up perfectly. For these reasons, the route from digital design to printed fabric can take up three to six weeks. In digital textile printing, the printing process is much shorter. The digital design first has to be ripped (raster image processing) — which takes up a few minutes (depending on the size of the file) — after which the design can be printed directly onto the fabric. In an hour time, you can already have printed hundreds of meters of fabric. This enables printers to accelerate their speed to market and meet increased customer demands for faster deliveries. A delivery time of weeks or even months can, with help of digital textile printing, be brought back to days. As pointed out before, in rotary screen printing designs have to be brought back to a limited amount of colors (typically 6 or 8 colors, maximum 24 colors). On top of that, the design that is engraved in the screen repeats itself every turn of the screen (typically every 64 centimeters). Both these characteristics of rotary screen printing seriously limit the flexibility in designs that can be used. Both design limitations do not apply to digital textile printing. This means designers have more freedom in their design and can experiment with new color combinations and extend their designs. 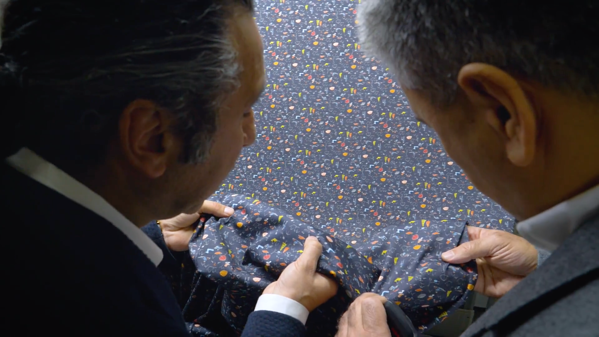 Although most fabric designers are used to design with these limitations in mind, the new, youngest group entering the market are willing to experiment and create designs that astonish customers. The accelerated speed to market that digital textile printing enables opens up new business models for printers who are ready to make the transition. Instead of selling what has already been printed, digital textile printing enables fashion brands to print small batches and place repeat order when a certain type of clothing is selling really well. Ideally, this means that in the future fashion brands don’t need to sell surplus stock with a great discount anymore. Is digital textile printing genuinely worth the investment? Do the earnings make up the costs of digital textile printing? Management consulting and engineering company Gherzi conducted an independent, global study to identify the core investment reasons of digital printing and study the return of investment.